Customers are our heroes – shaping up the product that we are constantly striving to build according to your needs. The mojo in our name stands for you who empower us back. You power Instamojo. So we thought we will take your love letters and thank you for validating the values that Instamojo stands for. What drives us is how you understand the basis of our product: Simplicity and Ease of use. Dear @instamojo , @Sengupta told me it was easy. He did not tell me it was *that* easy! Signed up. Spreading the word. Power to you! Payment issues are serious – it’s all about money and we understand how important it is to be accessible quickly. You can count on us for your business with our support response time that is between 1 to 24 hours. 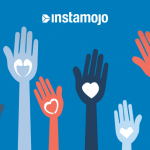 @instamojo superb support! Thanks team & appreciate your timely service. We are all human behind screens. When you reach us with your queries, we want to be your friend and help you in the best of your interest. 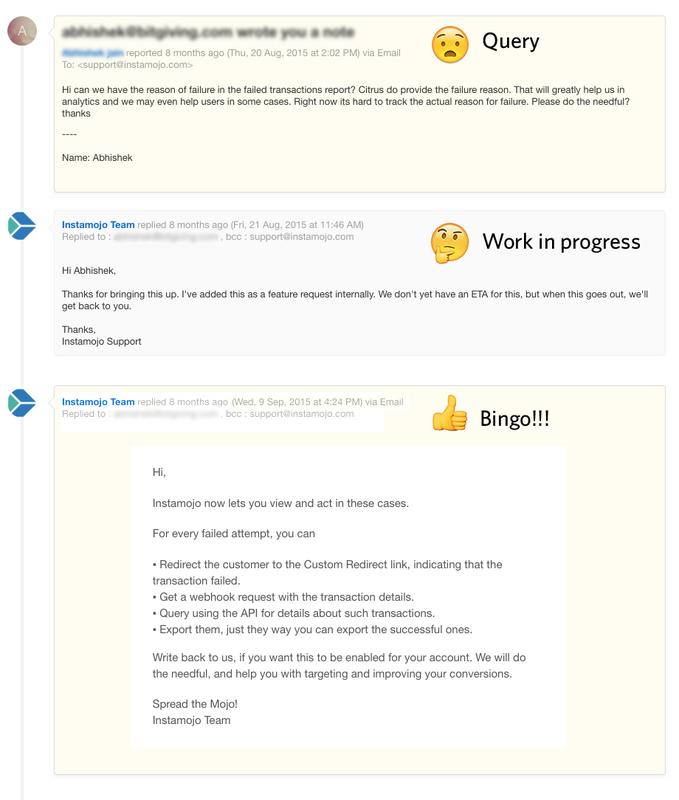 LOVED how responsive the team at @instamojo is. And their feedback mechanism is very human. @TheLuxuryLabel is all tidied up! 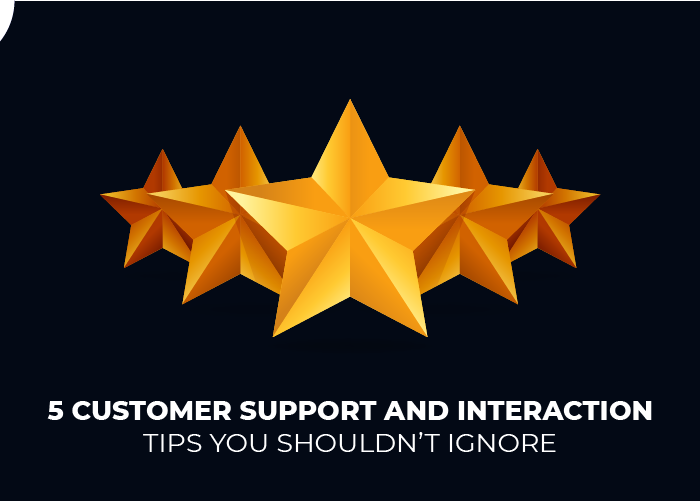 Our feedback system is portrayed as Net Promoter Score on a scale of 1 to 10 in real time (How likely are you to recommend Instamojo to others?). We get to know about your sentiments through the ratings you provide. We are constantly elated by tons of feedback from you. It helps us understand you better and with every rating, we take immediate action to make our product offering better. 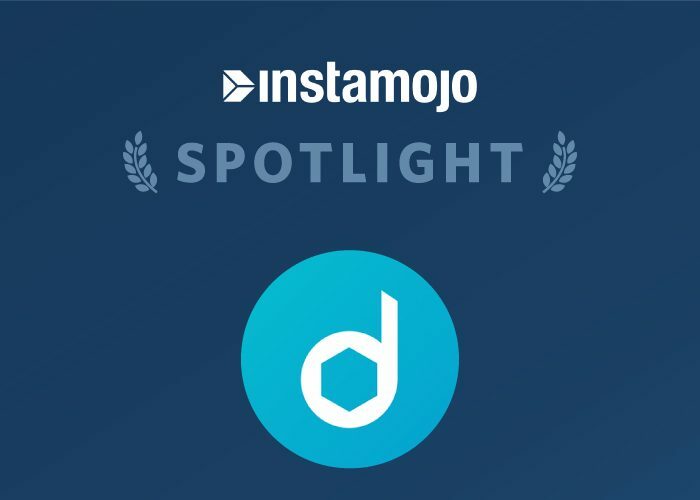 At Instamojo, we believe in empowering merchants to sell online, manage their business and grow in the process. Our Co-founder, Aditya Sengupta wrote an answer which might shed some light on our business philosophy. 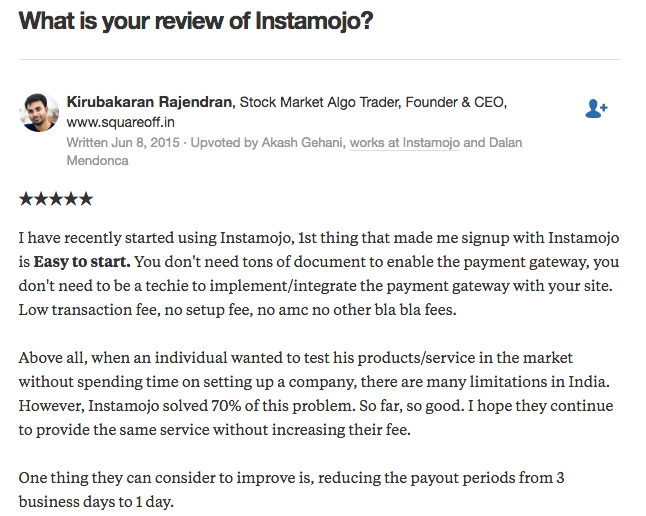 With this post, we are stealing an opportunity to thank you for your honest feedback and Instamojo reviews – your love, patience, and your constructive criticism. Keep ’em coming! Thank you! And more power to you.